Discover the rich and distinguished fragrance of this delicious nut and custard cream recipe. A sophisticated and unique vape for the gentleman or the lady. The Name and Label Colour is very misleading on this profile, you would think it’s a Menthol vape but you would be very wrong. This is a very original Flavour Profile, it’s so tasty! The blend of Flavours makes for a Magical All Day Vape! It’s a perfect blend of nuts (Hazelnut, Macadamia, etc…) layered on top of a scrumptious Vanilla Custard. Creamy and Sweet with an earthiness from the nuts, it has an Perugia Baci Candy or Nougat quality. The front is a unique blend of Nuts and Custard that make a delicious flavour blend. The back is a Sweet Creamy Nougat. This is a very unique flavour profile that is a must try for anyone who likes more complex and savoury vapes. 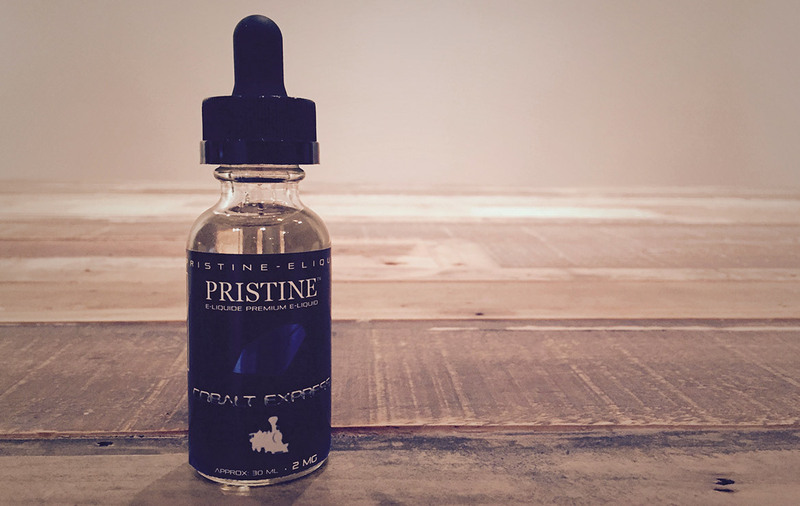 Pristine E-liquid is definitely a company to watch. Grab some if you can (the Quebec vaping laws are making things a little hard, no online sales). All Day Vapability: Magically Delicious! Heat: Stands up well but shines at almost any heat.